An easy way to add Rainbows to your Flutter apps! Provides a RainbowGradient which implements the abstract Gradient class, and can be used anywhere you'd use a normal LinearGradient or RadialGradient, such as the gradient property of a BoxDecoration. 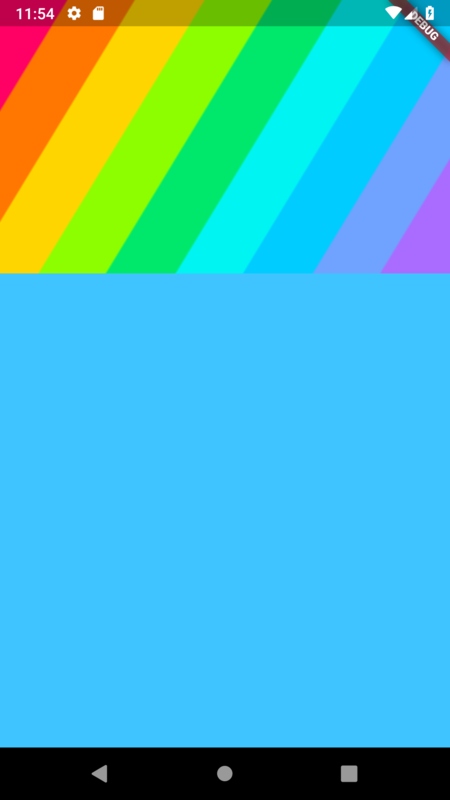 Provide a list of colors, and that will be turned into a Rainbow! An easy way to add Rainbows to your Flutter apps!